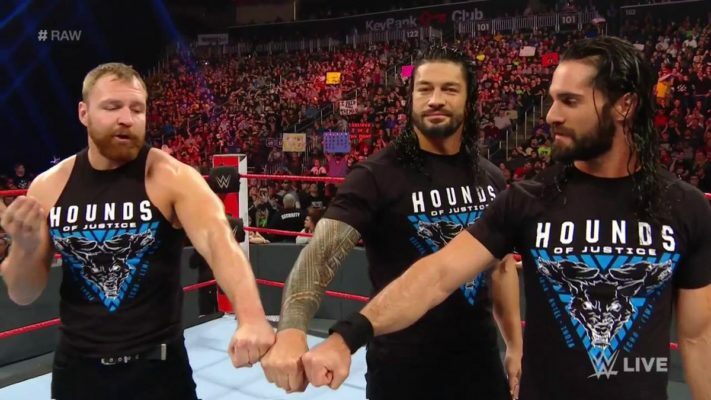 The Shield kicked off this week’s episode of RAW and got a great reaction from the crowd. Last night at Fastlane, Ambrose, Rollins, and Reigns defeated Corbin, Lashley, and McIntyre in the main event. Reigns said that he hasn’t had a 1 vs. 1 match in over 5 months and will be competing tonight. Roman brought up Rollins battling Lesnar at WrestleMania and a “slay The Beast!” chant broke out. The Shield then posed in the ring one final time before Ambrose and Roman exited. Seth stayed behind and was about to cut a promo but Paul Heyman interrupted. Rollins told Heyman that it seems that Lesnar has a bit of a problem against Superstars with his style. Seth claimed that he was the only man “uniquely suited” to beat Brock Lesnar at WrestleMania. Heyman tried to make excuses for Lesnar struggling against AJ Styles, Daniel Bryan, and Finn Balor and stated that he had very little time to prepare for those matches. 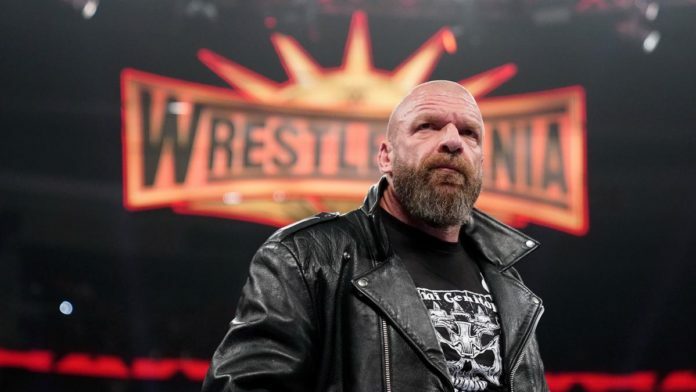 Paul claimed that Lesnar has had sadistic fantasies about what he is going to do to Rollins at WrestleMania.Shelton Benjamin then attacked Seth Rollins from behind and hit Seth with three German Suplexes in a row. Shelton Benjamin then battled Seth Rollins as Paul Heyman joined commentary for the match. Benjamin controlled the match early and connected with a knee to the face for a near fall. During the match, Heyman admitted that he paid Shelton to jump Rollins from behind. Paul answered a phone call during the match from Brock Lesnar. Heyman said that Lesnar is going to be at RAW next week. Rollins finally battled back and connected with The Stomp for the pinfall victory.